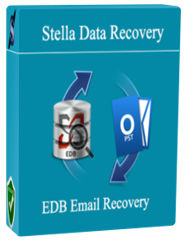 SDR exchange EDB to PST software quickly recover exchange EDB file if any reason of your exchange corruption because Stella exchange EDB Recovery tool has dynamic feature to repair emails from dismount MS exchange server database and gives safe exchange recovery and conversion of your corrupt/damage/inaccessible EDB file database. It quickly scans whole inaccessible EDB data and fixes the errors. Save EDB file into multiple format as: - PST/EML/MSG/HTML and MBOX. Give option to split large size of recovered PST during the emails conversion. Extract single or multiple emails from damage EDB database &save them in PST. This EDB to PST mailbox converter software has is well-suitable feature that can recover multiple exchange mailbox data and retrieve exchange EDB mailbox to PST outlook format with is original exchange detail and support (32 and 64 bit Microsoft). EDB to PST software is valuable method for recover damage exchange mailbox data and convert .edb to .pst file format with safe conversion process. Stella EDB to PST software is technology for scan damage data from live exchange server to export working PST format. SDR Exchange EDB to PST software is brilliant way to recover damage exchange EDB file from EDB file version as:- 5.0 to 2019 as well as you can also restore Exchange EDB mailbox to PST outlook and allows to re-access exchange emails data without lost old EDB mailbox data. #EDB to PST Recovery conversion software has must capability to recover damage and unreadable EDB emails data and save EDB emails into working healthy PST after then you can open them into multi format EML, MSG, HTML, MHTML, DOC and MBOX and work live exchange server. Microsoft EDB to PST software has an advance technology to repair exchange email corruption of EDB version as 5.0/5.5/2000/2003/2007/2010/2013/2016 and 2019. This application export EDB file on PST file version 97/98/2000/2003/2007/2010 and 2019 without any irritation. Can i use free of cost this tool. f i buy this SDR EDB to PST software then how long wait for activation detail. If you buy the software then after 10 to 15 minutes in receiving the email with the full version software. © 2019 Stella Data Recovery. All Rights Reserved | Designed by Stella Data Recovery.